The group of modders responsible for the WiiKey say they've now got their hands on everything they need to create a similar hack for the Wii U. If you're into the homebrew scene on the Nintendo Wii (or, you know, that other scene) then you're probably familiar with WiiKey, a series of products that allows Wii owners to bypass Nintendo's copy protection schemes and run whatever they want. Some homebrew stuff is apparently quite good but of course in Nintendo's eyes it's piracy all the way down, and so the whole thing, as you might expect, ends up a running battle between the company and the modders. The latest round, if the announcement from the Wiikey folks is to be believed, is going to go to the modders. The group has added something called the WiikeÃœ (and that's the last time we'll be using the umlaut, by the way) to its products page and awful name notwithstanding, it promises to bust open the gates and lay down a rubber road right to freedom! Or, to be a tad more precise about it, to let you play Wii and Wii U games from any USB media. "Yes, its real - we have now completely reversed the WiiU drive authentification, disk encryption, file system, and everything else needed for this next generation K3y. Stay tuned for updates!" the group announced. It is (or will be) solder-free, user-friendly, stylish and constructed from only the highest-quality materials. None of that is likely to matter in the slightest to Nintendo - but the fact that the system has been cracked is another matter entirely, and a very big deal if true. 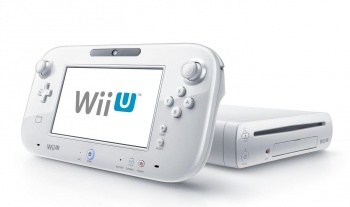 Nintendo says that it's seen no evidence verifying the Wiikey claims, however. "Nintendo is aware that a hacking group claims to have compromised Wii U security. However, we have no reports of illegal Wii U games nor unauthorized applications playable on the system while in Wii U mode," a rep told Eurogamer. "Nintendo continuously monitors all threats to its products' security and will use technology and will take the necessary legal steps to prevent the facilitation of piracy."